Every time we are in the Disney store and the Frozen movie trailer comes on the big screen, my boys are captivated by Olaf the snowman . He is seriously laugh out loud funny from what I have seen. We can’t wait to see the movie! 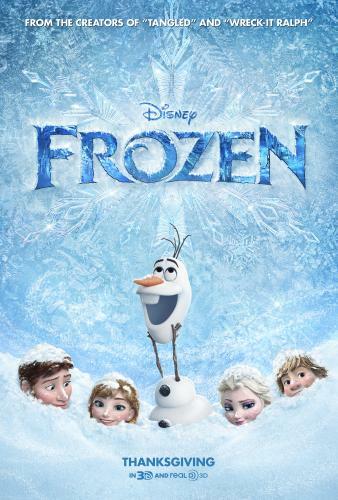 As it turned out – Frozen became a favorite movie at my house! 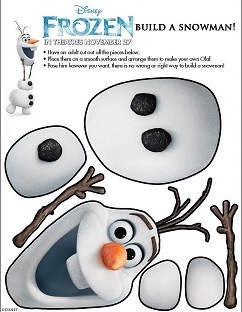 In the meantime, Disney provided me with some fun printables to share. 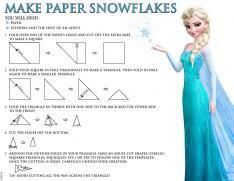 I know we will be making our own little snowman very soon. And if you haven’t yet seen the trailer, check it out! Frozen opens November 27th! 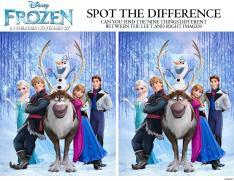 Who is your favorite character in Frozen? Want more? 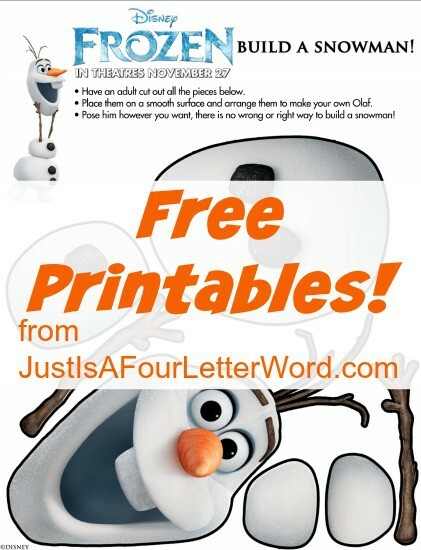 I have lots more free printables for you!